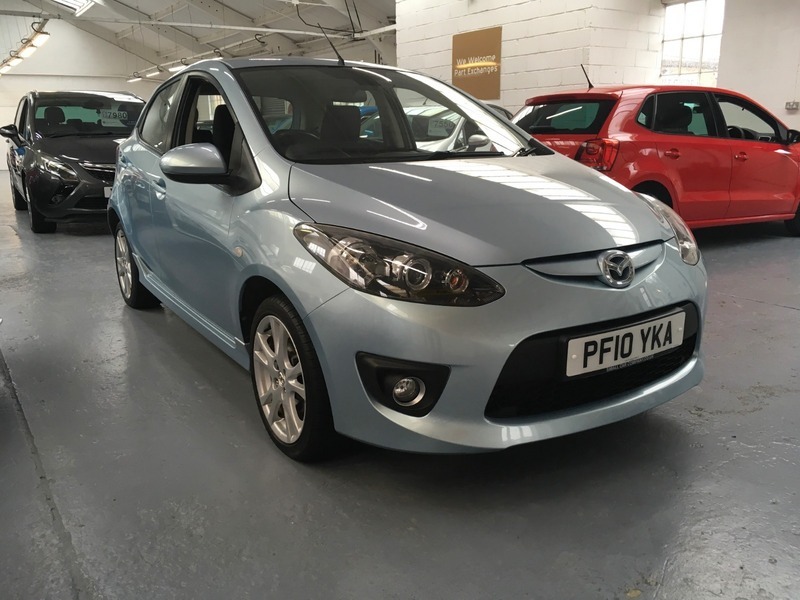 THIS IS A PRIME EXAMPLE OF A MAZDA 2, WHICH COMES WITH A FULL SERVICE HISTORY FROM NEW. FINISHED IN LIGHT METALLIC BLUE WITH UNMARKED BLACK CLOTH INTERIOR. FEATURES INCLUDE AUX-IN, AUTOMATIC HEADLIGHTS AND WIPERS, CRUISE CONTROL, ELECTRIC FOLDING MIRRORS AND AIR CONDITIONING.